This page covers the fighting by the Canadian 2nd Army to close the 'Falaise Pocket' during the first three weeks of August 1944. There is a short description of the places and sites to see at the top of this page followed by a more detailed explanation of the history of the battle and where the sites fit in to it overall. After the sucessful launch of Operation Cobra and Patton's break-out from Normandy at the end of July 1944, the Allied forces under his command immediately fanned out west into Brittany, south to the river Loire and in a change to the original plan, Patton sent the XV Army Corps east to Paris. Elements of the XV Corps were ordered to swing up north and attack from the south the German forces facing the Anglo/Canadian front at Falaise. 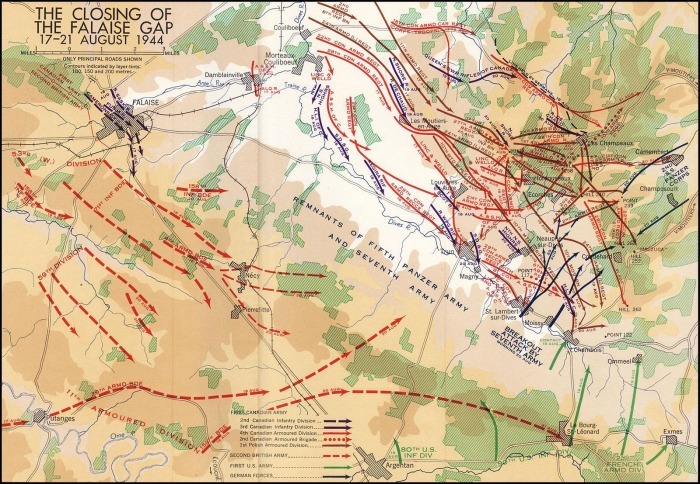 With the German line facing north and stretching away from Falaise to the west, and with the launch of Operation Lüttich, the German counter-attack towards Mortain feeding ever larger quantities of strong German forces further west in the direction of Avranches to cut off Pattons breakout, this move would encircle the entire German 7th Army and most of the 5th Panzer Army in a pocket from which, for the Germans, there would be no escape. While Patton was adamant that he could push on north to link up with the Canadians, who were pushing south to Falaise, he was ordered to stop on August 13th just north of the town of Argentan, seventeen kilometers (eleven miles) south of Falaise by General Bradley. But although Montgomery's claim that the Canadians would be capable of pushing south to Argentan in “less than 48 hours” had proved to be as over-optimistic as usual, he had made the valid point that after Patton's headlong dash south, east and then north, and with most of his forces still occupied in cleaning out Brittany and securing the line along the Loire river, if his US 3rd Army pushed further north than Argentan his lines would be too thinly stretched to be able to hold in the Germans in the pocket. 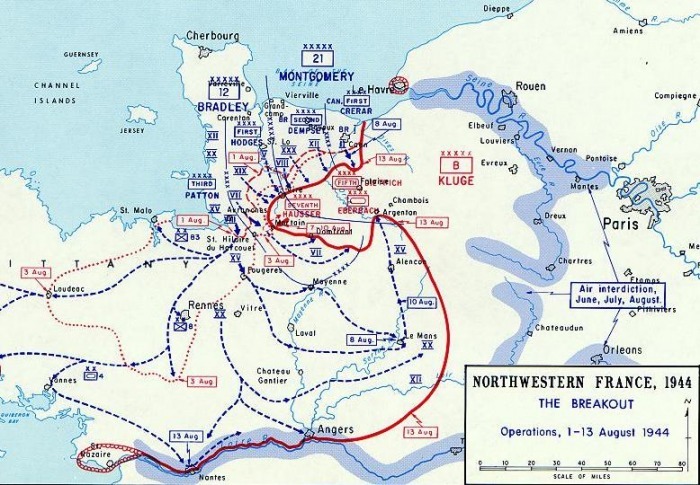 These German forces would be desperate to escape if the Pocket were closed (See Map "The Falaise Pocket") and so it was left up to the Canadians, later to be joined by the Poles, to do the job of closing the encirclement from the north. 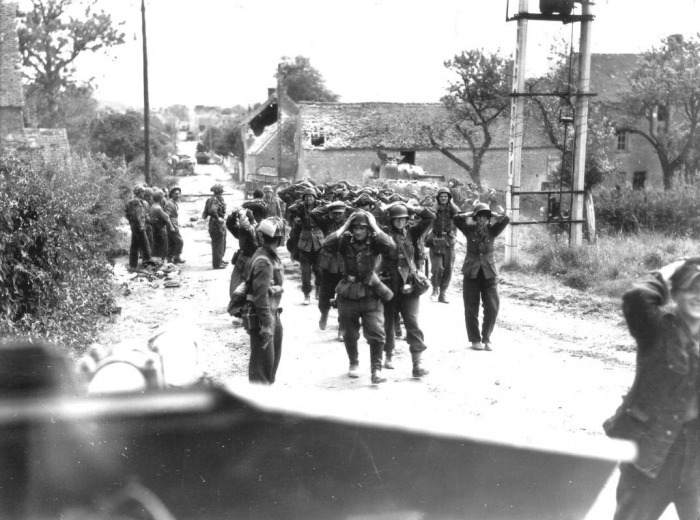 The Canadians were able to capture Falaise within Montgomery's allotted 48 hours, but had not progressed south of the town. 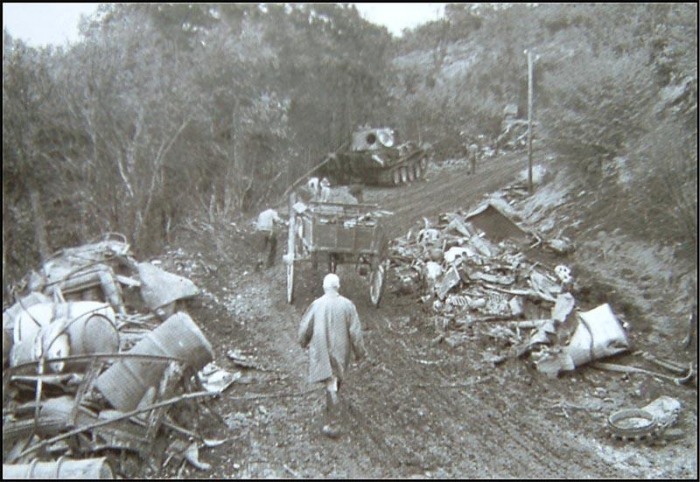 Every day tens of thousands of German soldiers and hundreds of vehicles were streaming east out of the encirlement through the ten mile (16km) gap between Falaise and Argentan that was the only exit from the encirclement. Because of this it was decided to try to close the 'pocket' as it was becoming known, further east in the hope of trapping more of the escaping German Army. 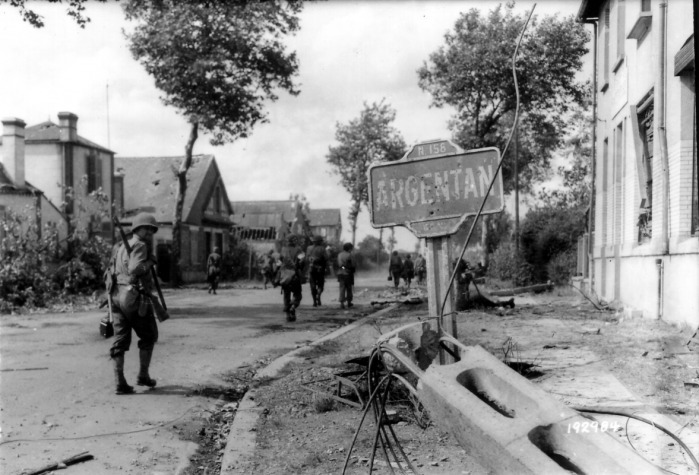 The small village of Chambois was chosen for the link-up and was occupied by the American 90th Infantry Division late on the 13th of August. The Canadians would take longer to arrive. Here you will be driven south-east from Falaise, following the Canadian push south that started from Falaise on the night of 16th/17th of August. 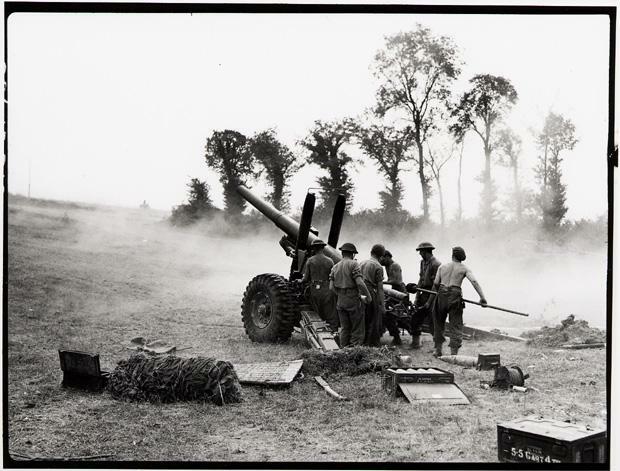 The village of Trun was captured by the 18th of August, after a heavy bombing raid by the RAF, and while the Canadian forces moved into the northern outskirts of St Lambert sur Dives the next day, heavy Canadian Field Artillery units were drawn up. As well as being shown around the village, you will be taken to these artillery positions and will see the line of fire given to the Canadian gunners from this high point, allowing them to rain down artillery fire on the fleeing Germans. But with the capture of Trun the German Army was now confined to only three escape roads that gave access to crossing points of their last natural obstacle to escape, the river Dives, and the most northerly and best of these crossings ran through St Lambert sur Dives. When the Alberta Regiment of the 2nd Canadian Infantry Division started to advance into St Lambert, the Germans heavily counterattacked. You will see the German crossing point being used for escape across the river, and shown where the Germans were pushing vehicles that had been knocked out by the incessant Allied artillery and aerial bombardments that were raining down on their positions. You will also be shown the positions taken by the Alberta Regiment when they were cut off and surrounded by the German counter-attacks, a position they were not relieved from for three days, and for which their leader, Major Currie, was later awarded the Victoria Cross, the highest British Commonwealth award that any soldier can earn for gallantry and valour in battle. It is hard to believe that the tiny road leading to a muddy track fording a large stream could have carried tens of thousands of German soldiers out of the Falaise Pocket in only a few days in August of 1944. You will be shown the routes taken by the Germans to bring them to this crossing over which thousands of vehicles and horse drawn wagons passed, and will see the evidence of the fighting still around, with a German rifle still clearly visible, sticking out of the side of a tree where it was left firmly embedded after the truck it was in was blown up in 1944. 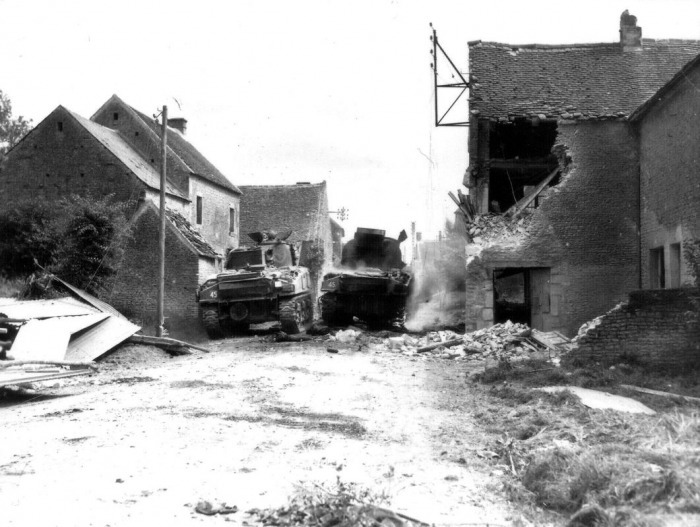 Although the town of Chambois was occupied by the American 90th Infantry Division on the 13th of August, the Germans were as anxious to keep possession of it as much as the Americans, and the town was the focus of Fierce fighting until the Canadians finally fought their way down into the town and met the American forces here on the 19th of August in 1944. 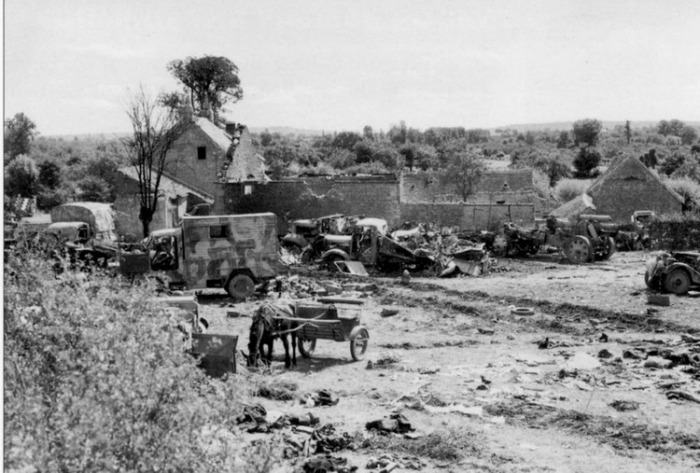 The Chateau in the village was used by both the Germans and the American forces during the fighting as the town changed hands several times during the days before the arrival of the Canadian forces. The Chateau has now been restored to its original pre-war condition as shows no traces of the fighting that once scarred its facade. After the defeat of Poland by the German forces in 1939, many escaped and made their way to England, where they formed the 1st Free Polish Army Corps. The 1st Polish Armoured Division of this force was sent to Normandy in late July of 1944, going into action alongside the Canadians fighting down towards Falaise in mid-August. The Poles were matched in their ferocity of fighting only by the the Russians and SS units, and were out for revenge, most Poles wanting only to kill as many Germans as they possibly could. As they made their way south-east to link up with the Americans in Chambois, the Poles wandered off-route and ended up approaching the heights of Mont Ormel. From the summit of this hill most of the encircled German Army in the pocket could be seen and it was also the last obstacle past which the fleeing Germans had to make their way out of the pocket, the “cork in the bottle” of the German encirclement. When the Poles occupied this position on the 19th of August, they saw that although they were in the wrong position, quite by accident they were in a very strategically important location. 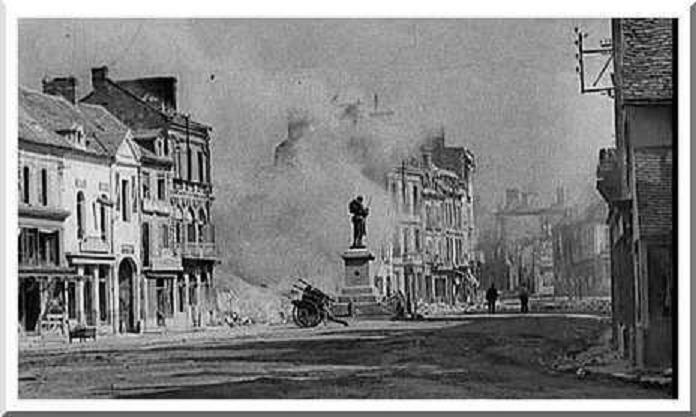 As you will be shown, they were cut off here for three days, constantly firing on the German columns fleeing along the road less than two hundred meters from their positions. You will be shown where the Germans launched the 2nd SS Panzer Division into the attack against the Poles to dislodge them from this dominant position. Despite suffering more than fourteen hundred casualties before the Canadians broke through to relieve them on the 21st of August. 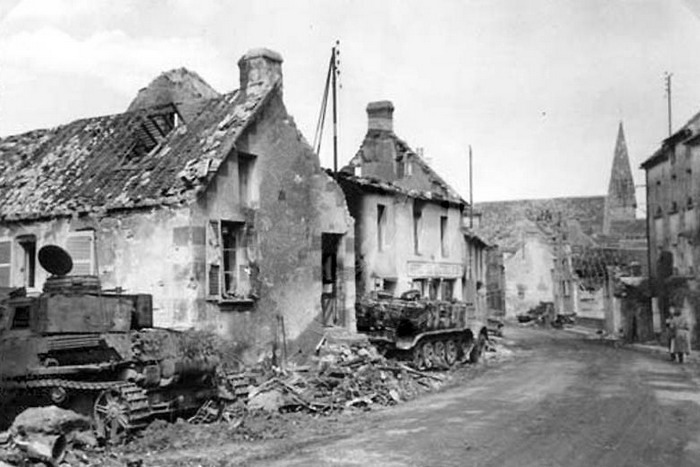 This town lies just outside the Falaise pocket and it was through here that large numbers of the Germans who had escaped from the encircling Allied Armies made their way. They were still being hammered by the Allied air forces but they were finally out of artillery range. 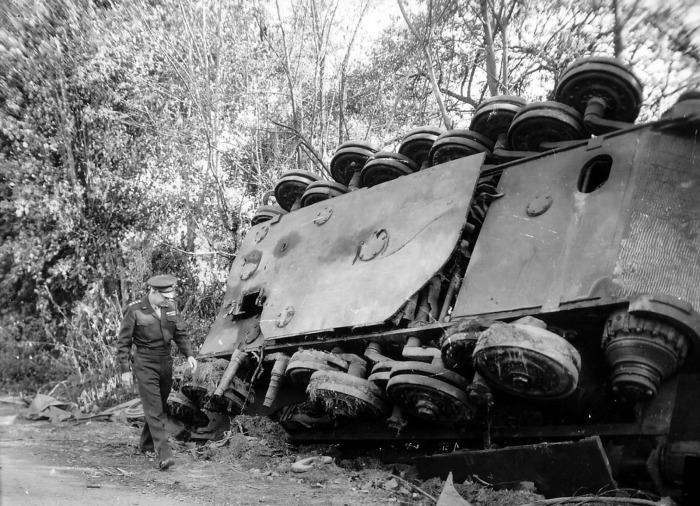 Large numbers of vehicles were still being abandoned by their German crews either because of mechanical problems or simply running out of fuel. 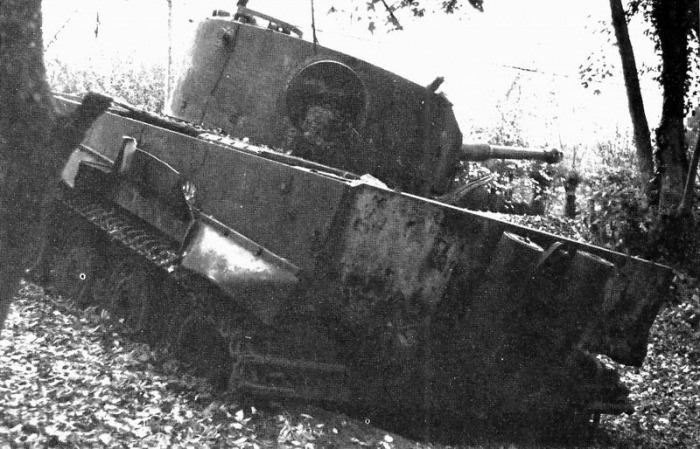 One of these vehicles that was abandoned during the retreat was a Panzer Mark VI, the dreaded Tiger Tank, which the Germans left beside the road. Finally pulled out of the ditch and put onto a plinth in the 1970's, it now stands on permanent vigil over this savage battle-ground where it once terrorized soldiers before being destroyed itself. It is one of only two Tiger Tanks left in France today.